This 2007-D Washington quarter was originally struck on a Sacagawea $1 planchet before being cancelled by the US Mint. The mint has been "cancelling" coins since 2004, resulting in a big cost savings, considering the complications and costs associated with transporting rejected blanks and coins to recycling facilities. 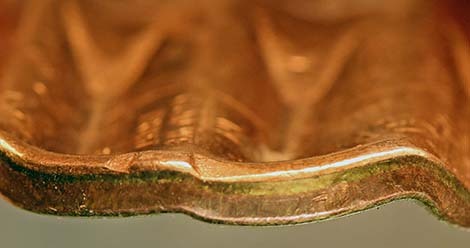 The mint uses a machine that flattens and distorts the blanks and coins. The resulting pieces have a distinct shape that has been likened to that of a "waffle." 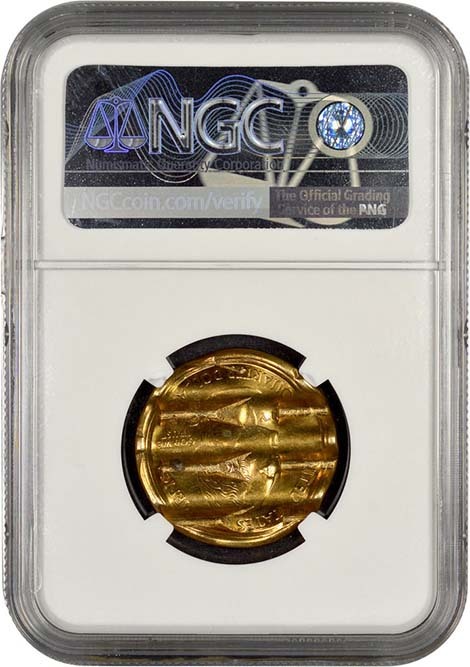 NGC has been certifying these "mint cancelled" items since the program’s inception. To date, it has seen all types of cancelled blanks and coins including uncirculated and proof coins. 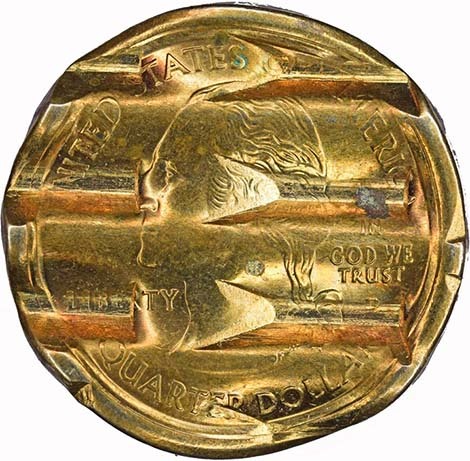 Major mint errors are usually severely cancelled to reduce the possibility of retaining any numismatic value. Thus, it was a shock to come across this mint cancelled error recently. 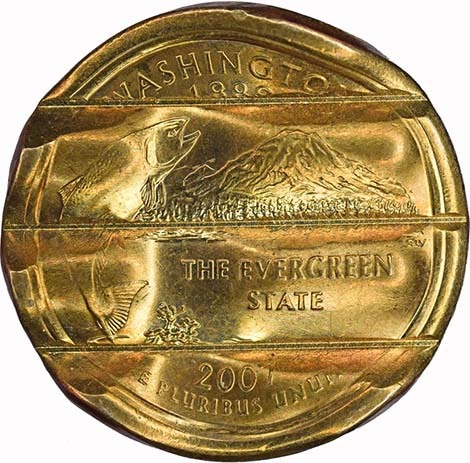 The unique error "was" a 2007-D Washington quarter originally struck on a Sacagawea $1 planchet! "A lot of the detail is still visible, allowing for identification of the coin. It is remarkable to see such an error, even under the cancelling. 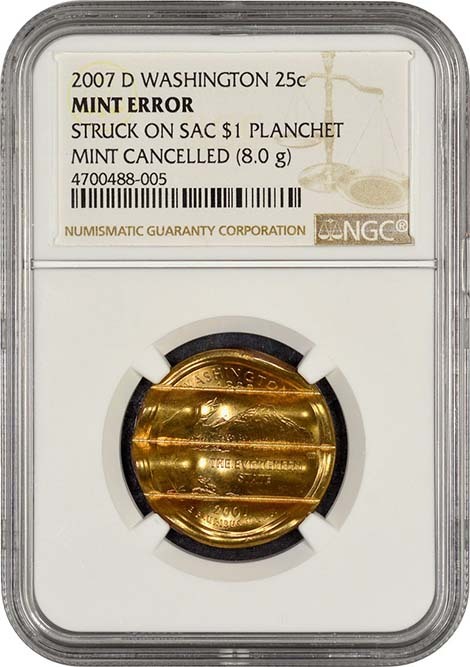 It would be interesting to know if this was a single occurrence or part of a larger batch," said David J. Camire, NGC Finalizer and Mint error specialist.